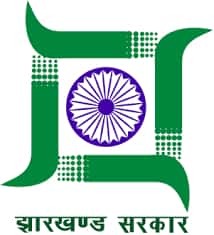 RDD Jharkhand Jobs Recruitment 2019 for Training/ Block Coordinator, Accountant Posts: Rural Development Department (RDD), Jharkhand has advertised a notification for the recruitment of Training/ Block Coordinator, Accountant – 32 vacancies. Candidates are Interested in the Vacancies details and passed 5th, 8th, 10th, 12th, ITI Pass, Graduate, PG, Degree/ Diploma Examination. Candidate may Apply Online from 19-11-2018 to 05-12-2018 Hrs on wards. Qualified in MBA/ PGDM/ PG Degree/ Diploma for Post No.1, Intermediate, DCA for Post No.2,3, Graduation with one year experience for Post No.4. Candidates age limit is 22 to 45 years for Post No.1,4 18 to 30 years for Post No.2,3 as on 01-01-2017. Age relaxation is as per Govt rules. Rs.400/- for UR/ OBC & Rs.200/- for SC/ ST for Post No.4. Interested candidates can Apply Online Application forms by visiting the website “applyrdd.jharkhand.gov.in” from 19-11-2018 to 05-12-2018 Hrs on wards. Last Date for Applications: 05-12-2018 Hrs.